Robotic vacuums continue to enjoy a great deal of popularity, with new models and more features being added every year. With so many brands and features available for purchase, it can take some time to navigate the information and specifications to determine which robotic vacuum is the best choice for cleaning your home or business. The basic features and attributes for each model can be compared to display the similarities and the differences between each style and model. Robotic vacuums may seem like an indulgence, but the practical cleaning work that they are able to accomplish is impressive. The convenience and self-operational functions make these smart machines a popular choice for many consumers. The ability to have a machine cleaning your home while you are away at work means you won’t come home to pet hair, crumbs or other debris on your floors. All of these compact vacuums operate quietly and efficiently on many different types of floor surfaces, including carpet, tile and wood. They are adept at avoiding obstacles and can clean the smallest particles of dirt or the longest dog hair. These hard-working machines will provide a consistent foundation for a clean home with very little effort on the part of the operator. Of primary importance is remembering to clean out the dust bin periodically; other than this critical task, there will be very little effort required on your part. 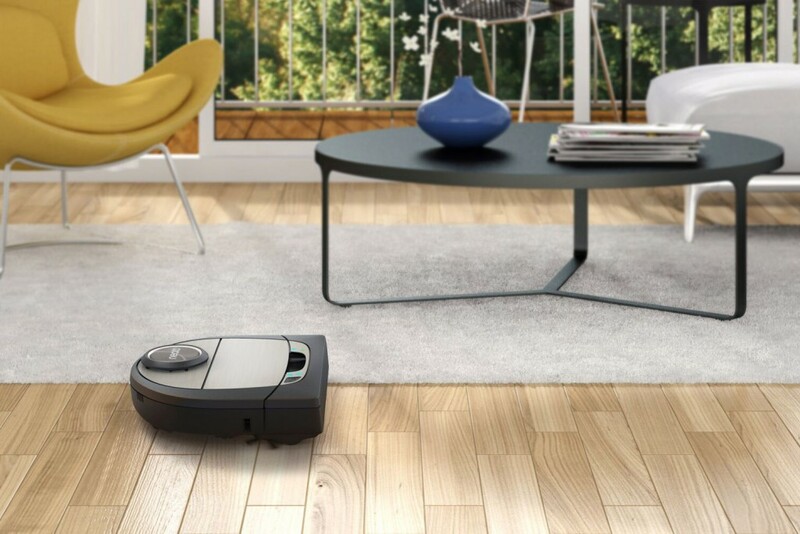 Roomba is known as the industry leader, but Neato Robotic’s hard working robotic vacuums are a strong competitor and a high-quality Roomba alternative. A strong feature is the large combo brush with edge cleaning that is ideal for collecting pet hair, especially on wooden or tile flooring. This vacuum is guided by a laser technology that maps the room, plans a course and cleans in a precise pattern. A large dirt pan and large filter mean less maintenance, and three filters are included with the purchase of this vacuum. This is a sturdy, well-built vacuum that will provide many years of cleaning service. This vacuum can be scheduled to clean on a daily basis, or you can simply push a touch-pad button for immediate whole-room cleaning or spot cleaning an area that measures four feet by six feet in size. It will complete its programmed cleaning task and return to the charging base when finished. It performs all cleaning tasks quickly, and it has a high level of accuracy in a meticulous pattern as it travels across the room. It is also much quieter than its predecessors, such as the XV Signature Pro. This high-quality vacuum has a one-year limited warranty on the machine with a six-month limited warranty on the battery. It has the traditional look of other Neato vacuums, with a square front that allows the side brushes to clean to the very edge of the room. This Neato vacuum does not include a remote and it weighs nine pounds, which is the heaviest of the four models compared here. This Neato vacuum model is a simple, high-quality machine that gets a cleaning job done in a practical, solid way. As a more pared-down version of the Botvac 85, its operation is more simplistic but it gets the job done just as well. A high-performance filter and meticulous cleaning pattern give it the edge over many other brands and models in its price range. Like the Botvac 85, the XV Signature Pro vacuum has a combo brush that is quiet, cleans hard surfaces such as wood and tile floors and is ideal for cleaning up pet hair. The dust bin easily lifts up out of the top of the machine. The laser-mapping technology is also of the highest quality and it can be scheduled for daily cleaning or spot cleaning. It can also be programmed to clean multiple rooms, at particular times of the day or at different times each day. It goes back to the charging base automatically, and when charged it will continue cleaning where it left off. Charging the unit takes just two to three hours, so it can quickly get back to work. Compared to the Botvac 85, it has smaller brushes and a smaller dustpan, and it does not have the feature of the side-cleaning brushes. It weighs a bit less at 8.6 pounds and does not come with a separate remote control. It may not offer as many features as other models in this category, but this Neato vacuum offers powerful performance and consistent cleaning. This is an effective, low-maintenance vacuum. As the most inexpensive of the vacuums reviewed here, it offers very good value for the price. 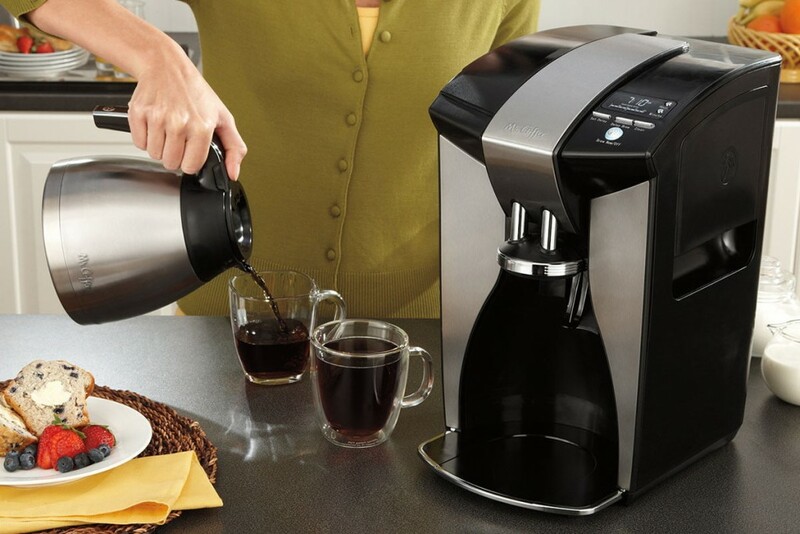 It has a one-year limited warranty on the machine with a six-month limited warranty on the battery. 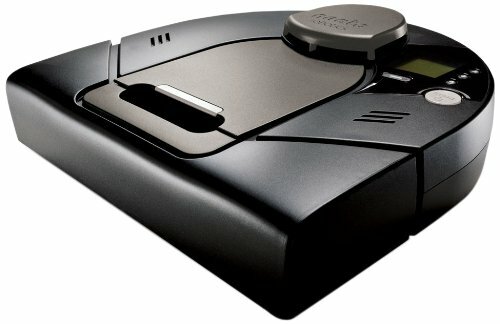 The Roomba 880 vacuum has some new features that are fun to use, including a small remote control and iRobot’s new “AeroForce Cleaning System” that replaces brush bristles with a rubber mechanism that is designed to clean thoroughly without tangling hair and other debris in the brushes. It also includes a sealed HEPA-like filtered dust bin which is an ideal feature for allergy sufferers. The sealed Airflow Accelerator means an improvement in airflow and stronger cleaning power than past Roomba models. This vacuum can be programmed to clean up to seven times per week, and it will vacuum room-to-room; it finishes one room before moving on to the next. It will return to the charging base to recharge as needed. It also includes a new extended-life battery which has doubled the clean time you can expect from this model as compared to prior models. iAdopt Responsive Navigation Technology means that automatic optical and acoustic sensors seek out dirt and perform concentrated cleaning in the dirtiest areas. This vacuum unit can clean up to wall edges, and has anti-tangle technology to prevent it from tangling in electrical cords or fringed carpets. It won’t fall down stairs, and it is cushioned on the edges to prevent damage to walls or furniture. 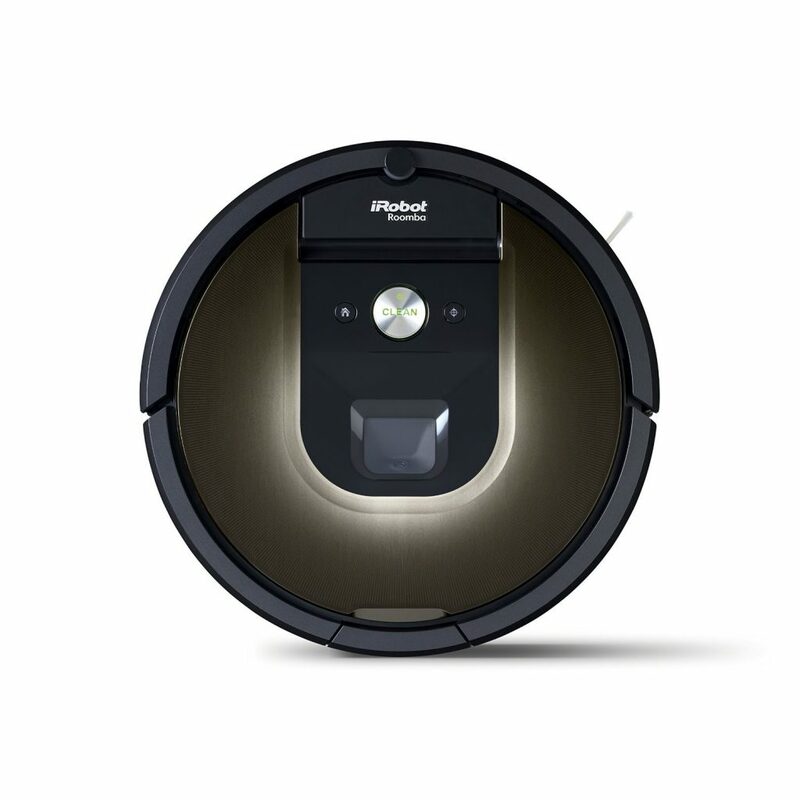 The Roomba 880 vacuum offers a one-year limited warranty on the machine and a six-month limited warranty on the battery. The weight of this vacuum is 8.4 pounds. This Roomba model can be operated by use of the iRobot HOME App so you can program it anytime – even when you’re not at home. Its high-efficiency cleaning mapping – iAdapt 2.0 Responsive Navigation – includes sensors to respond to obstacles, deep-cleaning needs and clutter. Its sensors prevent it from falling down stairs and its low-profile design means it can clean under furniture, beds and other items. It automatically docks and recharges when needed, then picks up the cleaning task where it left off. This Roomba vacuum can be scheduled to run seven times per week, and the brushless rubber cleaning system won’t tangle with hair or other debris. It cleans all surfaces of flooring, including carpet, tile and wood. With the iRobot HOME App, you can schedule cleaning and remotely monitor its progress while it works. The sensors will provide more power when dirty areas are discovered, and will clean wall edges with spinning side brushes. The HEPA-type filter will contain dust and allergens rather than releasing them back into the air. There is a one-year limited warranty on the vacuum and a six-month limited warranty on the battery. The weight of this vacuum is 8.7 pounds. All of these robotic vacuums have many quality features and provide quality, efficient cleaning with little maintenance. In general, the Neato vacuums are less expensive but offer fewer features, such as remote controls, allergen filters and the ability for remote scheduling. The Neato vacuums do offer more replacement parts – three filters as opposed to the one extra filter provided by Roomba. It is impossible to compete with Roomba’s 980 when it comes to remotely scheduling cleaning; homeowners who want to be able to schedule this vacuum through their smartphone or tablet will be drawn to this feature which none of the other models offer. The basics of comparing the Roomba 980 vs Neato models is all about the technology and special scheduling features the Roomba models offer. If you are looking for a basic vacuum, the Neato offers a simple interface and superior cleaning power. If you prefer unique features that allow you to explore the convenience of modern technology, the Roomba models may be your optimum choice. Comparing the Roomba 880 vs Neato 85 is mostly about the option for operating the vacuum via the remote control, which is a feature the Roomba model offers. If the ability to control this vacuum remotely is important to you, the Roomba vacuums are the only models that offer this convenience feature. Choosing between these four models may be a difficult choice unless you have a preference for specific convenience features. In any case, regardless of the model or brand chosen, all of these high-quality Roomba and Neato vacuums provide excellent robotic cleaning for your home or business.